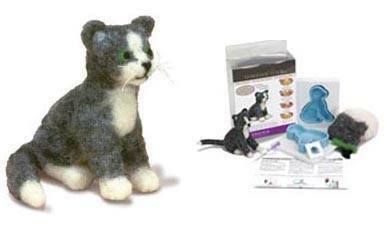 Kits and instructions to make your own needle felted wool pets! Want to felt little creatures that are easy and will warm your heart? Complete kits with felting fiber, needles and instructions. Youtube kits link to Youtube videos that feature step by step instructions. Inexpensive materials pack have all materials needed to follow along and complete the project.! Kits with complete materials and instructions also on this page, or buy the book "Wool Pets" and materials pack to make many of the projects in the book. Klutz-Felted Friends Book Kit and felkting materials set. Author: Kaitlyn Nichols. Softcover, 52 pages. oz), custom needle felting tool and foam work surface. Kit creates an adorable dimensional sculpture using freeform needle felting techniques. 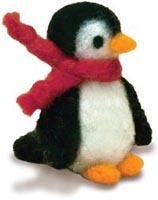 Kit includes 100% wool, felting needle and step-by-step instructions. From Ashford. 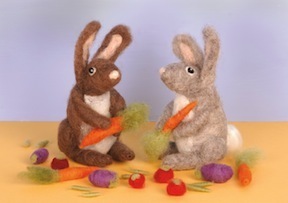 This kit contains all materials, felting needle, and step by step instructions to make a pair of rabbits and their garden vegetables. 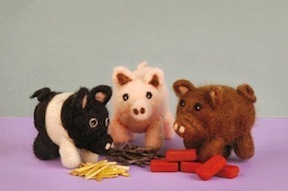 This kit contains all materials, felting needle, and step by step instructions to make three adorable little pigs. 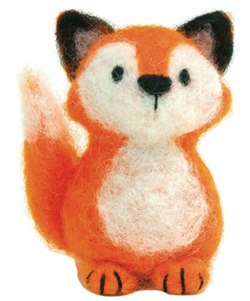 Kit creates an adorable dimensional sculpture using freeform needle felting techniques. 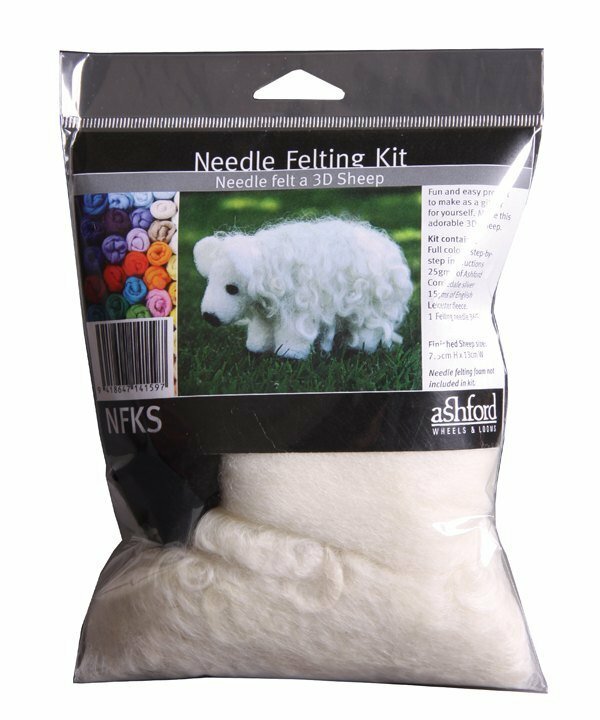 Kit includes 100% wool, felting needle, felting mat and step-by-step instructions. From Dimensions. Use basic needle felting techniques with the re-usable mold and stencil. Kit includes 100% wool, felting needle, felting mat and step-by-step instructions. Plus embroidery needle and floss for whiskers. From Dimensions. 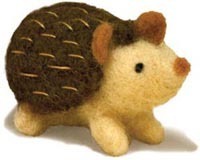 A great beginner kit, you can make these in under and hour, even if you've never needle felted before. Fun to make! Includes 100% wool roving, felting needle, felting mat, cotton thread, embroidery needle and instructions. Above YouTube video shows step by step how to make a collection of small needle felted owls. MATERIALS PACK has all wool roving colors to complete three owls, plus felting needle and foam pad! Using different wools, along with just three needles, you can create many realistic breeds including Labradors, pugs, poodles, border terriers and more! Perfect for felters and dog lovers everywhere. 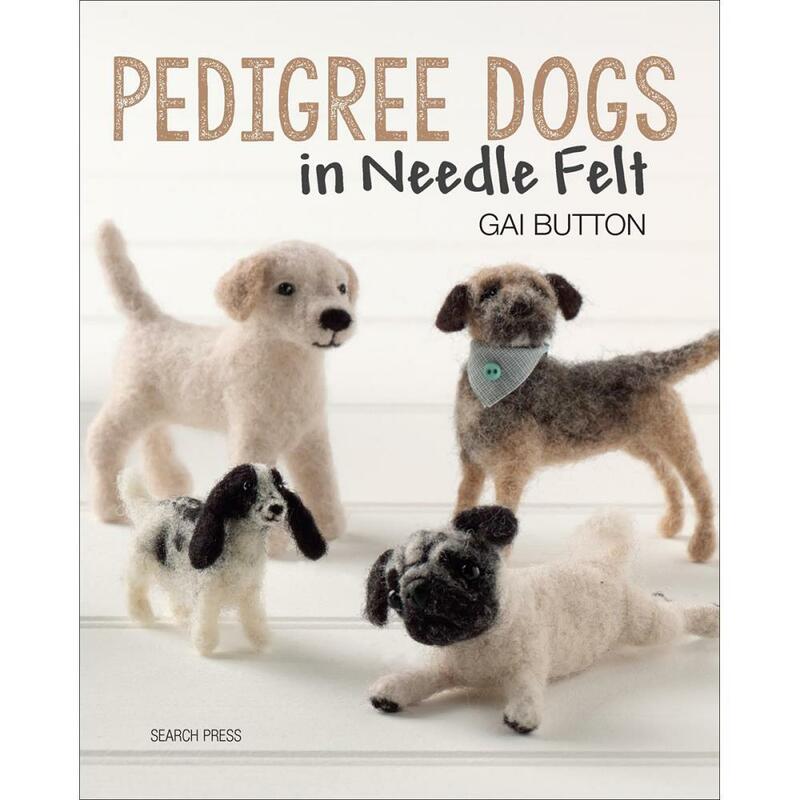 This book contains instructions for how to make six realistic dogs using needle felt techniques. Softcover; 112 pages.